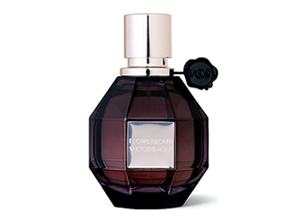 Viktor & Rolf launch Flowerbomb Eau de Parfum Extreme, the intensive edition. Creamy, balmy notes reveal a sensuous, almost “tactile” perfume. The amber in the base note is enriched by a pure vanilla absolute and benzoin, giving the strength of a powerful elixir. I bought this for my mom as a mothers day gift and she loved the scent. She couldn’t stop raving about how good this fragrance made her feel.